Lewis Hamilton leaving McLaren will have come as a big shock to many, considering his long association with the British team – a relationship that has spanned 14 years. Hamilton has left a team with competitive cars and an illustrious history in Formula One for Mercedes – a team with a car not seen as competitive with a relatively poor record in the drivers’ championship. Hamilton’s 2012 season wasn’t a complete disaster by any means. The 27-year-old won four races, had six pole positions, seven podiums and 190 points overall and finished fourth with an impressive end to the season. Although he reached pole position at the Brazilian Grand Prix he was taken out prematurely during the race. 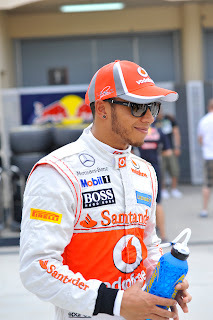 Hamilton’s 2012 seasonwas dogged by reliability issues with his car that might well have been a contributing factor to his decision to end his successful association with McLaren, although suspected pit lane mistakes are other reasons being cited by those in the sport. Although he is by no means a pauper, it could well be argued that money played a large role in Hamilton’s decision, as he is set to earn $100 million from his three-year contract with Mercedes, which is more than he was offered by McLaren. So what does 2013 hold for Hamilton? Does he have any chance of winning the world championship in 2013? Well anything is possible, but it looks unlikely – the odds for a victory next year have been set by Ladbrokes F1 to 12/1, as opposed to the shorter odds that would have been likely had he stayed at McLaren. This is evident as ex-teammate Jenson Button is at 7/1 to win the Drivers’ Championship. Hamilton is sure to look forward to the challenge of driving for Mercedes, and will be determined to lead the Drivers’ standings at the end of the 2013 season. However, driving a new car will probably mean that for the first few races, Hamilton will try and get used to it, so podium finishes might be hard to come by until later on in the year. Ferrari’s Fernando Alonso, a former McLaren team-mate of Hamilton’s, believes he will win races this year. 'I am sure he’ll be able to win. Mercedes won last year with Rosberg and Lewis has been winning races with all manufacturers', he told reporters earlier this month. As for Hamilton, he’s expecting to encounter a few difficulties while adjusting to his new car. 'It’s going to be a tough season. It’s going to be difficult for us to gain two seconds on our rivals. We’re in it for the long haul', he said. Even Hamilton has gone on record as saying on record as saying that it will take ‘months and months’ to make either the Mercedes team or his car competitive. But as a fiercely competitive man with a hunger to win, this will prove frustrating for Hamilton as he goes yet another year without winning the ultimate accolade in the sport. This post was contributed by Pete, a huge fan of Lewis Hamilton and Mercedes.